Here at Dockwa and Marinas.com, we hear from hundreds of boaters each day about what makes a positive and memorable marina experience. Whether you're newly-minted marina manager or have been in the industry for decades, it's never a bad time to hear what boaters think can make (or break!) the booking process. 1. Boaters want a seamless experience, from your marina’s online presence to your physical docks. We know that you know providing excellent customer experience is both the foundation of a successful marina and the catalyst for its growth. However, what we hear is often overlooked is how boaters experience your marina before they tie up at your dock. 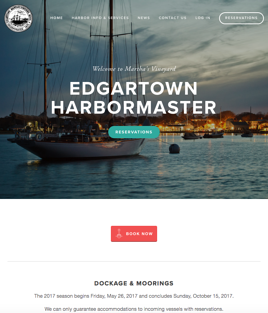 For example, Edgartown Harbor's homepage is easily navigated on all devices and has multiple ways to access reservation and review information from the homepage. EdgartownHarbor.com viewed on a mobile (left) and a desktop device. That’s why, to leave a lasting positive impression on your boaters, the pre-arrival experience should mirror the in-person experience. 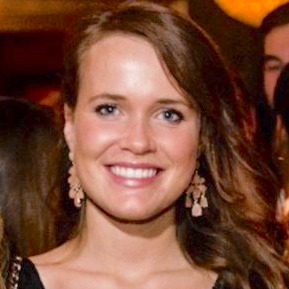 What good is an excellent in-person experience if your boaters can’t even find the information needed to decide to dock with you in the first place? Luckily, this aspect of the customer experience is as much under your control as are your docks. 2. Boaters want to easily find reservation information your website. 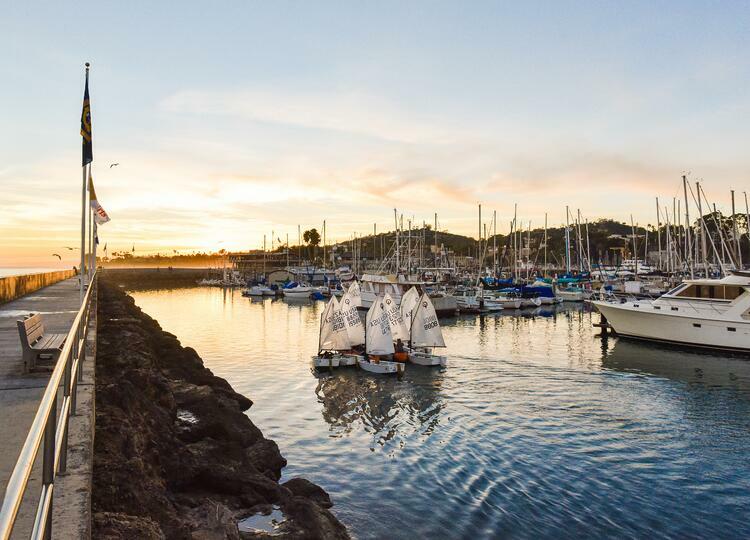 When boaters come to your site, one of the first things they look for is the cost and feasibility of booking at your marina. The average human attention span is 8 seconds (shorter than that of a goldfish! ); chances are, users will ditch their efforts if they don't find what they're looking for in the first few seconds of browsing your site. One way to combat that is to keep Rates and Availability information on your homepage. And if you don’t want to disclose this information on your homepage, make sure Rates and Availability information is one-click-away at all times, by including a link to this information in your site’s navigation. 3. Boaters want marina information that is consistent across all digital resources. While most boaters presume the information listed on your website to be accurate, your marina's information may live on several other 3rd-party travel and marine websites that are also trusted by boaters. For example, your marina’s profile on Marinas.com is a public record of location, amenities, contact information, boater reviews and more. Since consumers visit an average of 38 websites before booking travel, it's important your boaters are getting the most accurate information about your marina, no matter the source. 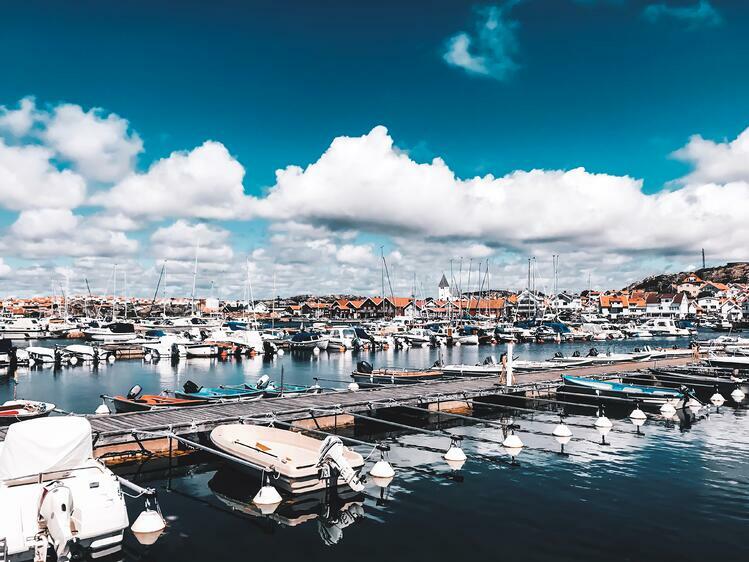 Luckily, many of these 3rd-party sites, including Marinas.com, give you the freedom to manage your business's profile just as you would manage your own marina website. By claiming your Marinas.com profile, you can make sure your marina's information is up-to-date and respond to your reviewers in a public forum, helping ensure that a boater’s perception of your marina is accurate. Not sure how to claim? Check out our tutorial here. 4. Boaters want to read boater reviews for marinas. When boaters are dreaming, planning and booking their travel, reviews from other boaters are just as valuable as rates and amenities information, to their decision process. According to Tnooz, whopping 95% of consumers read reviews before booking travel. 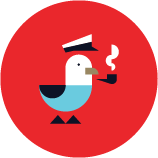 Adding the Marinas.com Review badge to your website will easily let boaters know your rating on Marinas.com, giving them one more reason to dock with you. 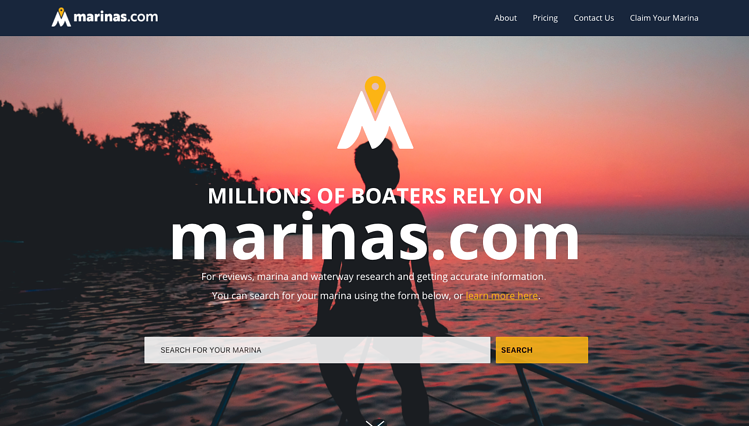 After claiming your Marinas.com profile, head to the "Resources" section of your profile manager to find the code needed to add your Marinas.com review rating to your website. 5. Boaters want marinas to engage with their boaters. As the number of platforms on which boaters can share information grows, so do the avenues through which you can engage your boaters. Engaging boaters online not only helps build your reputation as a business who is interested in its customers, it can also translate directly to your bottom line. A 2015 study by Medallia found that businesses "that responded to over 50 percent of social reviews grew occupancy rates by 6.4 percentage points, more than twice the rate of properties that largely ignored social media reviews." When you engage with those who leave reviews on your Marinas.com profile, you signal to your boaters that you care about what they have to say and are eager to learn from their feedback. Responding to reviews can also prove effective in mitigating less-than-positive reviews; by engaging those who are critical in some way of your business and showing understanding and willingness to resolve an issue, you have the opportunity to flip a negative experience on its head. 6. Boaters want to be able to make reservations from any device, at any time of day. With more than 57% of all travel reservations made online each year (148.3 million and growing! ), it's no wonder more and more businesses in the travel industry are offering online booking processes for customers. The marine and boating subset is no different. The reality that most travel can be booked at any time of the day, from any device is now, also, the expectation. 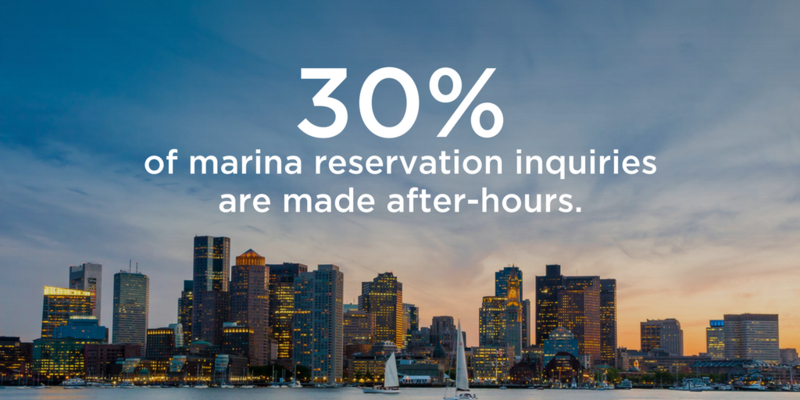 If you’re interested in providing a seamlessly positive customer experience through all 5 stages of travel, consider listing your marina on Dockwa for free. Dockwa allows boaters to instantly book at your marina from any device, handles payment processing and dock management, and facilitates direct consumer communication. When you can influence the Dreaming, Planning and Booking phases of travel from one mobile application, you’re free to spend your time ensuring the last two phases - Doing and Reflecting - are equally as positive for your boater.